"The technique of dimensional reduction lets us replace the theory which describes this hot plasma with a simpler quantum theory with a set of rules that all the particles must follow", explains Dr. David Weir, the corresponding author of the article. 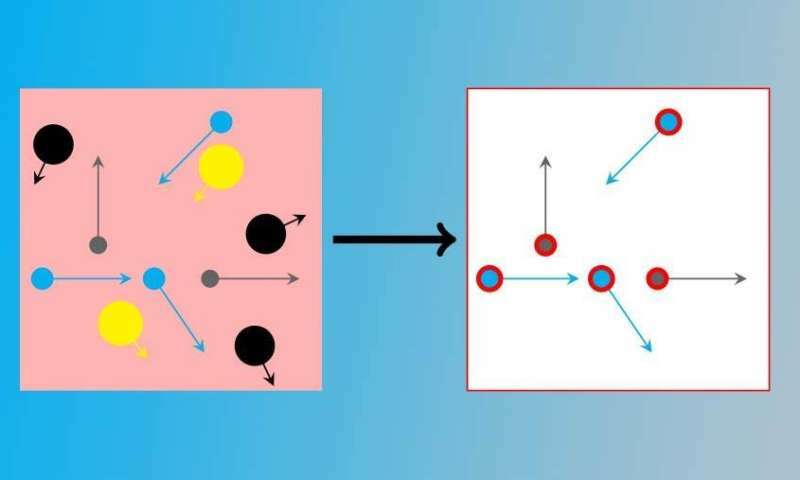 "It turns out that the heavier, slower-moving particles don't matter very much when these new rules are imposed, so we end up with a much less complicated theory." "Our results showed that it is indeed possible to explain the absence of antimatter and remain in agreement with existing observations", Dr. Weir remarks. Importantly, by making use of dimensional reduction, the new approach was completely independent of any previous work in this model. Dark matter and dark energy are "fudge factors" to maintain mathematical consistency in preserving expansion (big bang) theory. The matter in the universe came from pair-formation (supersymetrically) from micro-charges originating at much smaller scales. Pair-formation of 1.0216 MeV "threshold" gammarays create electrons (negatrons) and positrons which can aggregate into neutrons as (+/-) Beta Pairs, and then acquire orbital electrons to complete atomic shells, and on-and-on to larger scale and cosmological structures. The quanta, or photons, of radiation arise naturally from the virtual particle field when equal but oppositely charged particles form stable rotational structures. They may acquire energy through anomalous constructive interference, or other mechanisms, but will generally lose energy from a slight charge interaction that propels the photon at the speed of light which redshifts its wavelength (though is not a Doppler shift). Tim, besides your Ouji Board, with what modern technology did you use to collect your data? And what peer review verified your evidence?